Come on, admit it—you’d love to have this conversation. I know I’m looking forward to holding a doggy-doo bag on a crisp San Francisco morning while chatting with a stranger along the waterfront about Lady’s history. I’ve had quite a bit of down-time to visualize this scenario, obviously. Just ten days of volunteering remain before Lady and I pack up and fly back to the United States. During this time I will be sharing photos and stories of some of the most endearing adoptable cats and dogs, beginning with Dual Lek (pictured above; bio below). 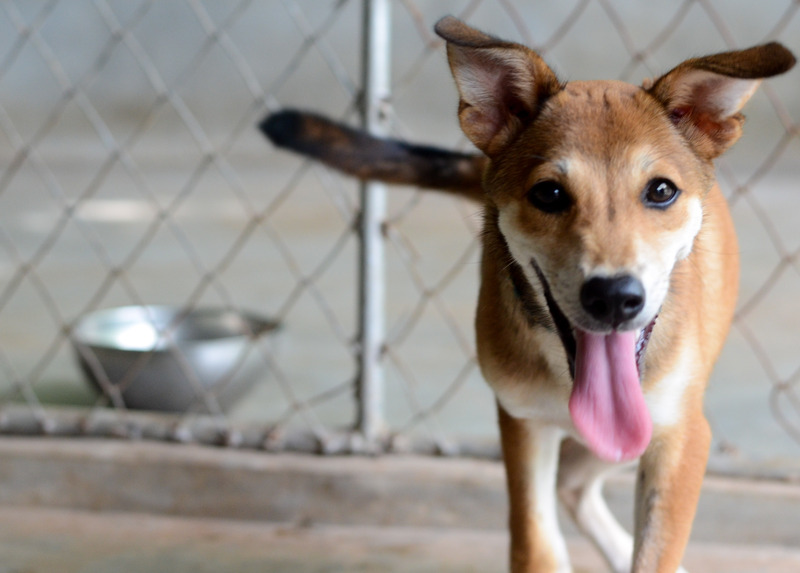 If you plan to visit Koh Lanta (as either a tourist or volunteer) or are simply an animal lover who appreciates a good rescue story, please consider giving one of these amazing animals a forever home. Not only will you be improving your new pet’s life, but you will open up a kennel space for another animal to receive life-saving treatment and a chance to exist free of fear and neglect. That’s a win-win in my book. This adorable creature pictured here is Dua Lek and she just might be the cutest puppy that I have ever met. She is perfectly proportioned, looks like some sort of fox, and has a balanced, sweet disposition. If she had been at Lanta Animal Welfare back in January, I might have been returning to the US with two adopted Thai dogs instead of one. Dua Lek is one of the newest additions to the LAW shelter and her odds of being adopted are pretty good. That is, as long as someone falls in love with her in the next few months while she’s still considered a puppy. As is the case in all shelters, a dog’s odds of being adopted decrease as time passes. 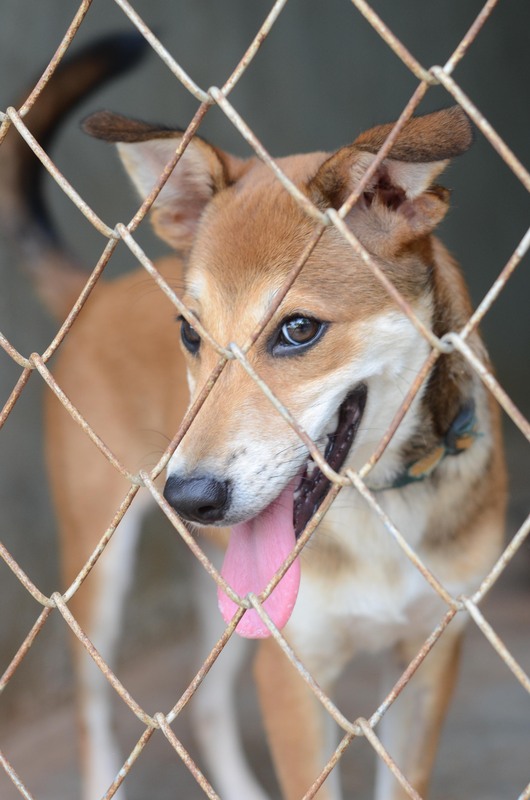 Despite being intelligent, affectionate, and gorgeous to boot, many of these dogs end up being “lifers” here at the Koh Lanta shelter. And I think they deserve better.